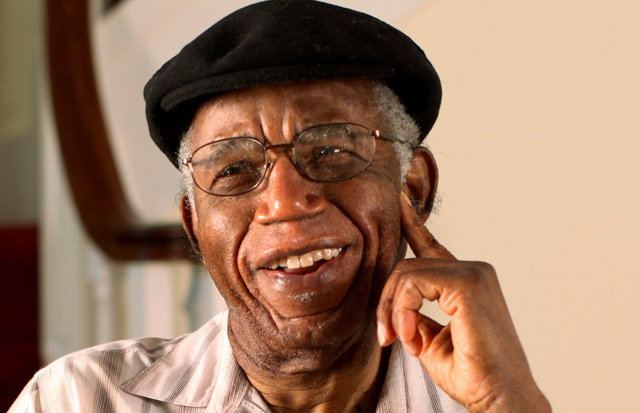 Eulogies and reminiscences have flooded the Internet since the announcement of Achebe’s transition to the Village of the Ancestors. I selected a few noteworthy tributes below and mixed them in with some of Achebe’s own writings and interviews. It remains a challenge, however, to do justice to his life’s work with any commentary. As much as been said thus far, much more is still to come as we reflect on what Achebe gave us and taught us. In my own case, I have been struggling unsuccessfully to recall when I first read Things Fall Apart. My memory has failed to place my encounter with the novel in the late sixties or early seventies. What remains indelible, in any event, is the impact it had on me as a reader with a voracious appetite for African literature and history, and the fact that it was an essential component in my discovery of an entire generation of African writers: Amos Tutuola, Cyprian Ekwensi, Alex la Guma, Mongo Beti, Bessie Head, Wole Soyinka, James Ngugi (Ngugi wa Thiongo), Ayi Kwei Armah, Kofi Awoonor … to name a few. As I stated above, Achebe’s legacy will be a topic of much discussion going forward. The items linked below, which represent a small sampling of what has appeared online in the past week, are offered for consideration to that end. I plan to add to this list as more materials come to my attention. I am open to suggestions, so please forward your ideas. 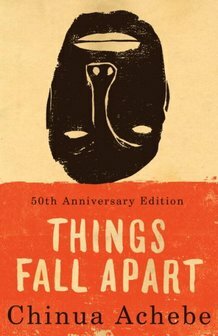 This entry was posted in Uncategorized and tagged Books, books, Chinua Achebe, Educator, Interview, literature, Nigeria, Novelist, Poet, Things Fall Apart by Ourstorian. Bookmark the permalink.